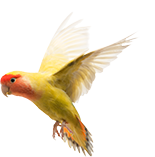 If you ask Google, our reviews say we rank with the best of the best when it comes to the quality of our facilities, the level of our technology, and the competence of our professional staff. We’re not sure if this makes us different from the other vets nearby, but we know for sure what makes Windermere Animal Hospital more than just an animal hospital. 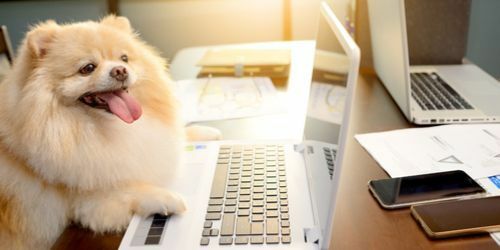 Everyone who works here understands that to our clients, pets are more than animals. And we treat them accordingly. That’s why work experience and academic credentials aren’t enough to get hired here. We look for people who are capable of finding joy in the happiness of a freshly groomed dog at check out time. People who understand at a personal level how hard it is to say goodbye to an old friend. In short, the kind of people you would trust with the health of a family member. Take a moment to meet them. Better yet, stop by with your pet for a visit. You’ll feel the love immediately. 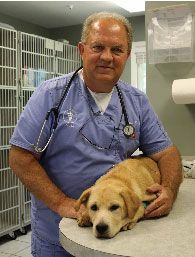 Dr. Nix, originally from Southern Indiana, graduated from Purdue’s School of Veterinary Medicine in 1982 and has been practicing in the Indianapolis area ever since. 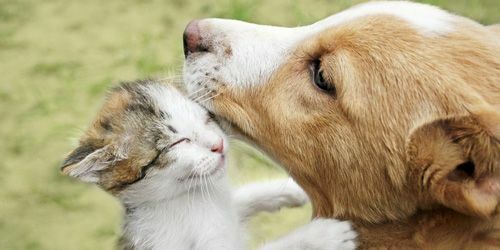 His clinical interests include canine pediatrics and geriatrics, and his passion for animal joint health inspired the creation of a company to manufacture PetPROPEL, an all-natural Hyaluronic Acid-based joint supplement that he and other veterinarians use to treat age-related joint issues in dogs and cats. In his free time, Dr. Nix enjoys spending time with his wife and sons. Their family also includes one dog and a flock of chickens devoted to creating a steady supply of fresh eggs. He counts flying, sailing, and traveling as his favorite activities interests outside of the hospital. 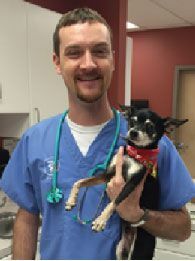 Dr. Ben Ealing graduated from Purdue College of Veterinary Medicine in 2005. He has practiced in central Indiana since graduation. Dr. Ealing joined the practice in January of 2015. He lives in Carmel with his wife (also a veterinarian), twin boys, and three cats. When he is not in the office, Dr. Ealing enjoys running, playing with his kids and caring for his aquariums. 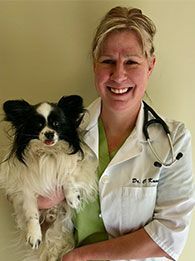 Dr. Ealing enjoys all aspects of veterinary care and has a special interest in internal medicine and critical care. Dr. Kacocha graduated from Purdue University in 2000. After graduation, she worked at a 24 hour emergency clinic in Louisville, KY. 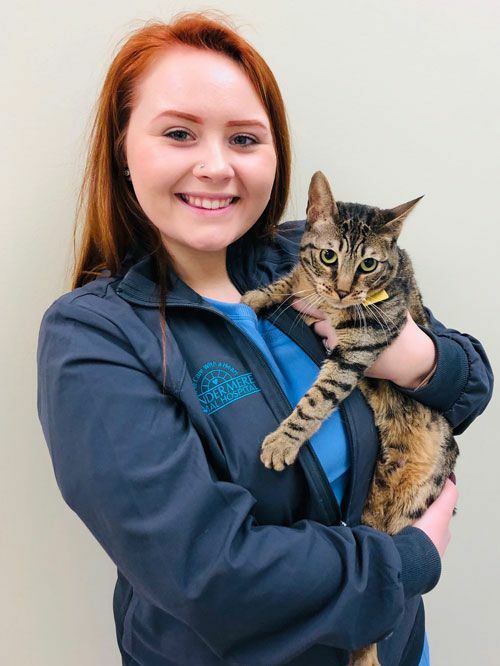 While working in Louisville she volunteered for Alley Cat Advocates, the local Trap-Neuter-Return group and Woodstock Animal Hospital Foundation for 5 years before returning to the Indianapolis area. She became the medical director of Indy Feral. She also worked emergency medicine at Northwood in Anderson. 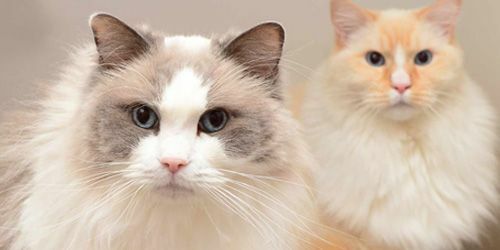 She enjoys spending time with her dog, Java, and four cats. 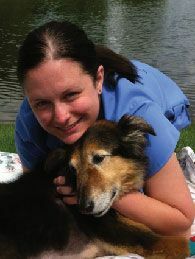 Paula has been with Windermere Animal Hospital since its inception in 1998. She started as an assistant and then was promoted to Office Manager. In her spare time, she enjoys spending time with her grandson and family as well as her fuzzy children! She loves horseback riding, camping, swimming, snorkeling, and fishing. Jamie is a graduate of Vincennes University with an associates degree in law enforcement and Anderson University with a bachelors degree in business. She has worked in the animal field for over 14 yrs, which includes time spent working in the education department at the Indianapolis Zoo. She currently resides In Edgewood, IN with her husband Andrew, son Noah, three cats: Bitty, Tiki, Shadow, and her beagle Ladybug. She enjoys anything animal related and the great outdoors. In her spare time, she helps to collect donations for the animal protection league of Anderson and volunteers at her son's school. She someday hopes to purchase several acres of land where she can provide educational and rescue programs for all animals. 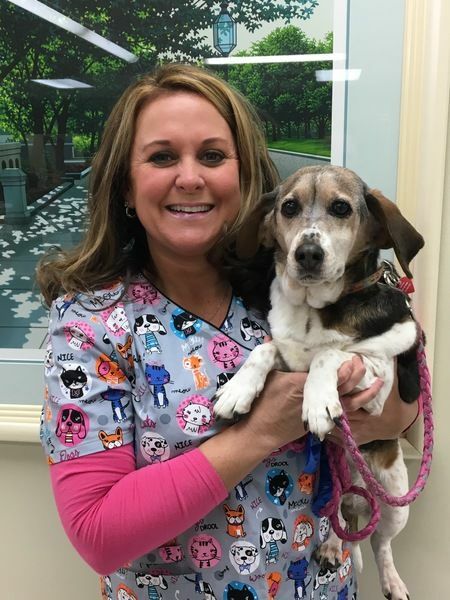 Gail, originally from Long Island, New York, has been with Windermere Animal Hospital since its inception in 1998. 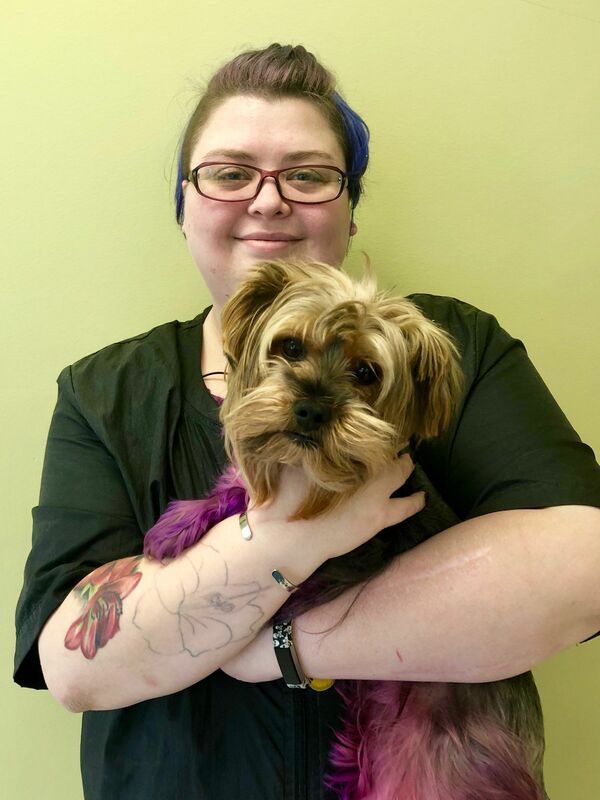 Gail also works weekends and many holidays at the VCA Animal Emergency Clinic in Castleton and has often been on duty when our own clients need to make an after-hours veterinary visit. Gail enjoys spending time with her husband and listening to country music. 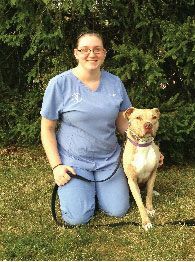 Ashley is a 2003 graduate of Hamilton Southeastern High School and began work with us in 2001 as a kennel attendant. Since 2003 she has worked full-time as a veterinary assistant. In her free time, she enjoys outdoor activities, music, jogging and spending time with friends and family. Her fuzzy family includes two Chihuahuas, “Punky” and “Gryffin”, a lab mix “Fred” and her two cats, “Charlie” and “Olivia”. 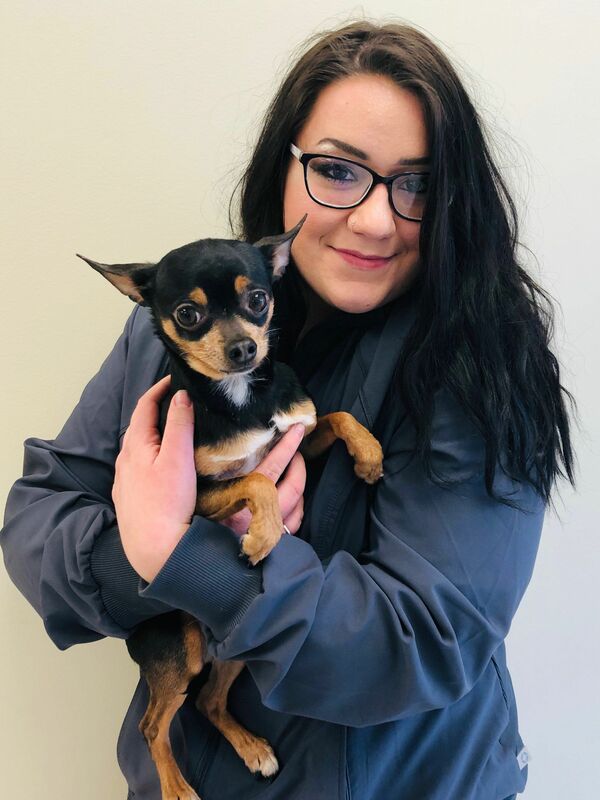 Leah is a Registered VeterinaryTechnician and began her internship with us through International Business College’s Veterinary Technician program in October of 2014. She began working full time after graduating in December. In her free time, she enjoys jogging, watching movies, spending time with her daughter and her two dogs “Red” (Pitbull) and “Dozer” (Sharpei mix). 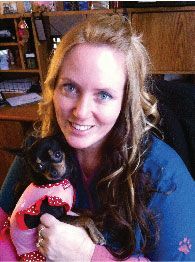 Krista has been an assistant in the veterinary field for 6 years. She is a Chicago Cubs fan and enjoys camping, fishing, and hiking with her dog. She is currently pursuing a Biology and Chemistry degree from IUPUI. 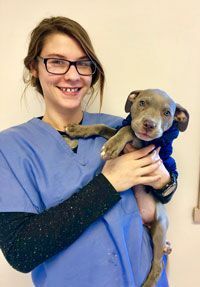 Brittney is currently in training to be a veterinary assistant. She enjoys trying new foods, meeting new people, hiking and watching Netflix. She has 3 dogs - Henry. T. Ford, Porsche, and Bentley. 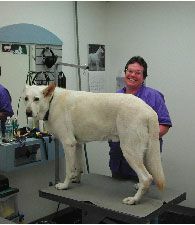 Donna has worked with Dr. Nix since 1994 as a kennel assistant, bather, and now groomer. Donna graduated from grooming school in 1997. 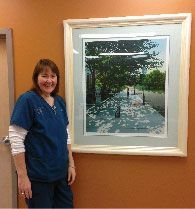 She has been with Windermere Animal Hospital since its 1998 opening. Donna has 2 adult children. Her daughter is an office manager at another animal hospital and her son works homeland security at the Indianapolis airport. She has 2 German Shepherds. She enjoys showing her German Shepherds, Colt, in dock diving and Ice, in obedience and nose work. She is also a member of the American White Shepherd Association. Rory has been in the grooming field for 3 years. He has 3 dogs. Rory is a Chicago Cubs fan. He enjoys outdoor activities, disc golf, and cooking. Lauren has been a groomer for two years. She loves to do creative grooming, including adding some bright colors. Her background is in fine art and theatre. She loves to read science fiction and paint in her free time. 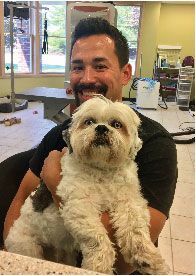 Bailey is our Kennel Technician Manager and supervises the back to make sure it runs smoothly during your pet's stay with us. She has had a passion for animals since she was little and has had several pet's of her own. She currently has a dog named Lexi. 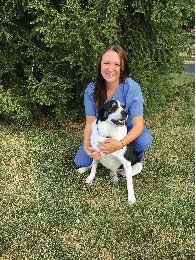 She took a veterinary assisting class at JEL her senior year of high school. Ariel graduated high school from Greenfield Central in 2017. She is now enrolled in vet tech school with Penn Foster. She currently is a kennel technician but is also in training to be a receptionist. She loves traveling and adventure. She has a savannah cat name Mya and has grown up around tons of animals her whole life.